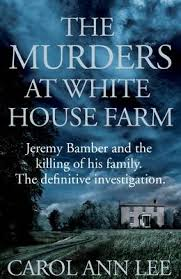 Today is the publication day for “The Murders At White House Farm”. I originally reviewed this book last month thanks to a preview copy from Netgalley. I am absolutely delighted to welcome Carol Ann Lee to take part in my second interview in my Author Strikes Back category. I am especially happy about this because she has written, as far as I am concerned, a five star book and as I mentioned in my last but one blog (100th Blog Post – A Review Retrospective) the review has been attracting considerable attention. In fact, over the last couple of days it has eclipsed the competition to become my most read review. This does look like it could be one of the big books of the year and so I am thrilled that Carol Ann Lee has found time to respond to my thoughts about the book. What was it about this particular case which drew you in? I have very vivid memories of 1985, when I was sixteen, and clearly remember the case in the press – and even more so, the footage of the Bamber funerals on the television news. They were a popular and respected family in the area where they lived and it seemed incomprehensible that their lives had ended in such violence. Over the years, I read the books on the case, watched the documentaries and followed Jeremy Bamber’s campaign to be released through the Appeal Court. There was – for obvious reasons – a great deal said by and about Jeremy but little about the rest of the family. I was particularly drawn to Sheila, and also to June, and wanted to know more about the relationship between the two women. I also felt that it was important to sort the facts from the fiction that has appeared in the media over the years, to speak to those involved in the case, and to give an accurate and sympathetic portrait of the family members. To me, that was also the key to understanding – as far as such a horrific crime is ever possible to understand – what led to the murders. What has been the response to those affected by the case to the book? Well, none of them have the read the entire manuscript as yet, although I did send transcripts of the interviews I conducted to everyone who had agreed to speak to me. It’s such an emotive case and so much has been wrongly reported, that I wanted all those involved in the book to feel reassured that I would not misrepresent them. Reading through their transcripts also led to further discussion. Some of those interviewed only agreed to work with me on the understanding that they were not named in the book and of course I’ve kept to that. But I am very grateful to have been able to interview them and others who were willing to be named yet had not been interviewed before – for instance: Sheila’s psychiatrist, her best friend, the pathologist who worked on the case, and senior investigating officer Mike Ainsley. 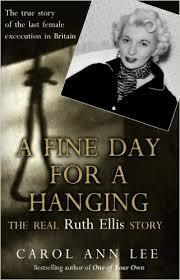 I’m an infrequent (and slightly nervous) true crime reader. What would you say are the essential books in this genre? 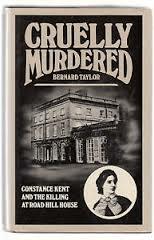 Bernard Taylor’s Cruelly Murdered: Constance Kent and the Killing at Road Hill House, one of the first true crime books I read. Although Kate Summerscale’s book is brilliant in its own right, Cruelly Murdered remains in my memory most, particularly for the quality of the author’s research. 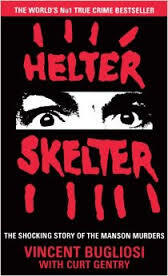 Vincent Bugliosi’s Helter Skelter: The True Story of the Manson Murders. It has one of the most chillingly memorable opening lines imaginable and the rest follows on from there. Richard Lloyd Parry’s People Who Eat Darkness: Love, Grief and a Journey into Japan’s Shadows. The story of Lucie Blackman’s murder is meticulously told, opening up a different and very frightening world to the reader. 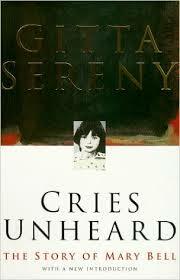 Gitta Sereny’s two books on the Mary Bell case – particularly the second, Cries Unheard: the Story of Mary Bell – generated a great deal of controversy at the time of their publication, but make for uncomfortably compulsive reading. 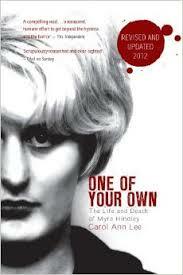 My last two choices are not books themselves but sections within books: firstly, There’s Only One Yorkshire Ripper in Joan Smith’s Misogynies is acutely perceptive and genuinely gave me sleepless nights, and secondly, in Stet: An Editor’s Life, Diana Athill’s memories of meeting Myra Hindley with a view to assisting with her autobiography was also keenly insightful. Something I think you do very well is conveying a case of thirty years ago and really getting the sense of the summer of 1985. In terms of policing and the handling of the case in the media how do you think things would be different if it took place today? Thank you – I did want to imbue the book with a sense of place and time to make it more ‘immediate’ for readers. Sadly, I’m not convinced that Sheila would fare any better in the media today than thirty years ago, given the sort of graphic and salacious reporting in some (but by no means all) sections of the print and online press. Policing has changed though, partly in response to the Bamber case as is explained in the book, so the initial analysis would hopefully be more cautious than it was generally in 1985. What’s next for Carol Ann Lee? 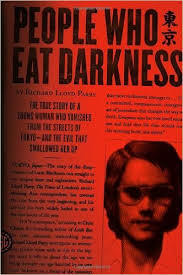 I’ve begun researching a book about a 1970s case that’s been with me since I was very young; it’s the first thing I ever remember reading about in a newspaper and is an almost unbelievable story of horror and heroism. It gripped the headlines for a very long time, and even changed the British legal system, yet there has never been a single book about it and the case is almost never mentioned, not even online. I would like to thank Carol Ann very much for her enthusiastic response to my questions and to remind you that “The Murders At White House Farm” is now available to buy as a hardback of as a Kindle edition by following the link to Amazon.co.uk. It can also be purchased from the publishers’ website. The links should take you directly to the book. 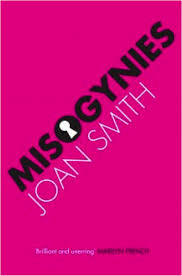 The hardback is published by Sidgwick and Jackson. 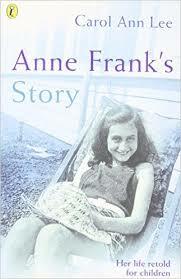 I would also like to thank Laura at PanMacmillan for her help in linking me up with Carol Ann. This entry was posted in Murder They Wrote... and tagged Anne Frank, author interviews, Carol Ann Lee, Crime Book Reviews, Jeremy Bamber, Myra Hindley, Ruth Ellis, True Crime, White House Farm. Bookmark the permalink.